Qualcomm Incorporated has launched the Qualcomm Ventures AI Fund to invest up to an aggregate of $100 million (€87.94 million) in start-ups transforming Artificial Intelligence (AI). The fund will focus on start-ups that share the vision of on-device AI becoming more powerful and widespread, with an emphasis on those developing new technology for autonomous cars, robotics and machine learning platforms. This fund builds on more than a decade of Qualcomm’s AI research and its heritage of developing the foundational building blocks of low power processing and connectivity, which are essential for AI. 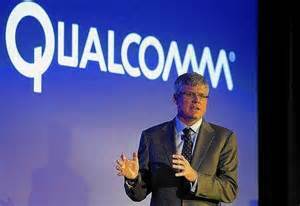 Qualcomm has set out to make on-device AI technology ubiquitous by inventing, developing, commercialising and, importantly, investing in it. As AI shifts towards the wireless edge – combining essential on-device capabilities with the edge cloud – the industry is already starting to see the full potential of 5G. Qualcomm’s ambitious 5G vision and strategic commitment to on-device AI goes hand in hand with mobile becoming the pervasive AI platform. As part of the AI Fund, Qualcomm Ventures LLC participated in a Series A funding round for AnyVision, a world-leading face, body, and object recognition start-up. AnyVision’s use of on-device AI minimises the spread of data, mitigating privacy concerns. Its unique data acquisition strategy, together with its proprietary algorithms, are expected to provide immense value to customers. This investment – the first made by the AI fund – will further AnyVision’s efforts to expand into other industries and develop new AI applications that transform how the world connects, computes and communicates. The announcement was made at Qualcomm Ventures’ 5G & AI Summit in San Francisco, where influential leaders in AI convened to discuss applications of the technology in different industry verticals. The Qualcomm Ventures team has a demonstrated track record of investing in some of the top global AI start-ups. The AI Fund will continue to invest in those that share Qualcomm’s vision of making on-device AI ubiquitous. Qualcomm’s cutting-edge research, strong mobile footprint and leading development of 5G and AI will allow Qualcomm Ventures to serve as an ideal investor in AI start-ups bringing the next wave of innovation. Their success will provide significant value to many industries and billions of people.